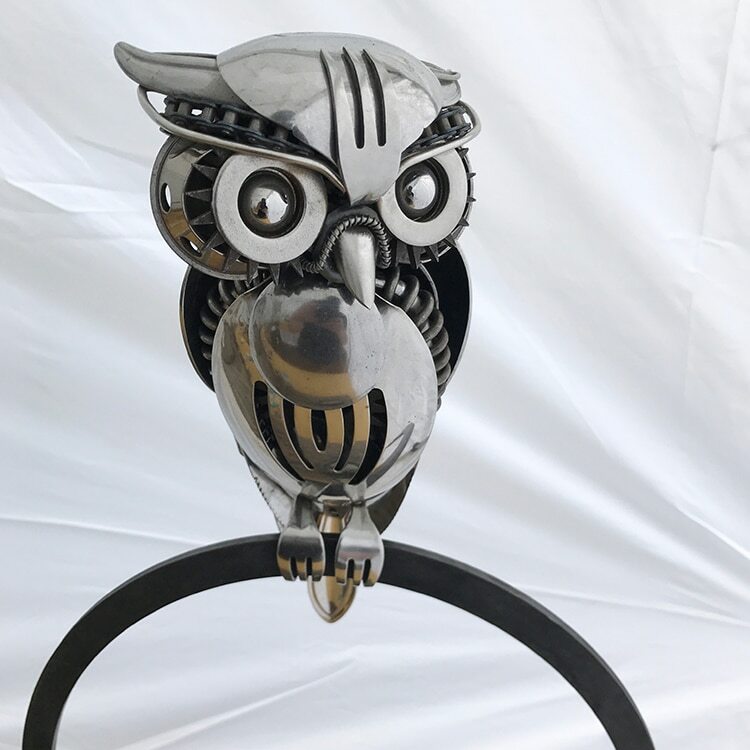 While some people visiting a junkyard might only see a pile of garbage, South Carolina-based upcycling artist Matt Wilson (aka Airtight Artwork) sees artistic potential. 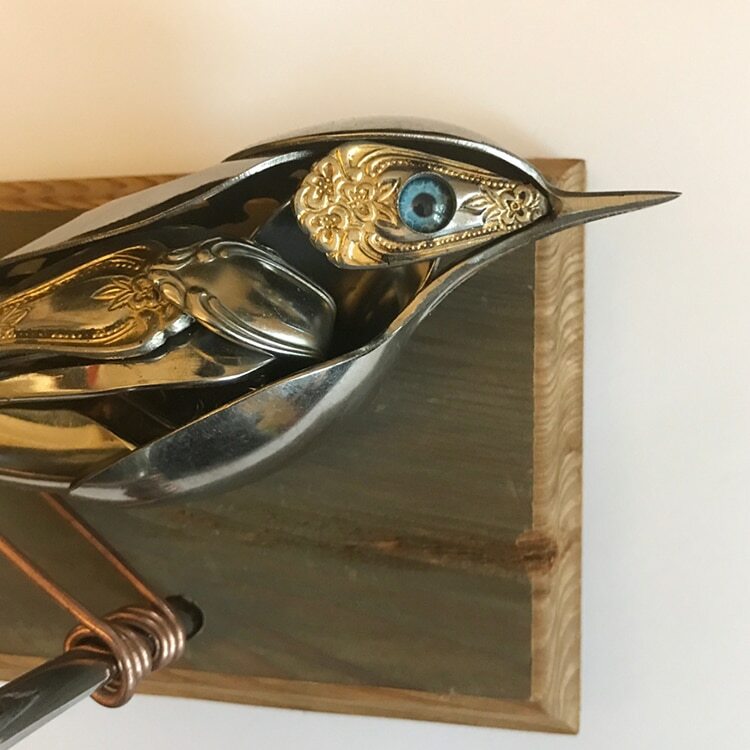 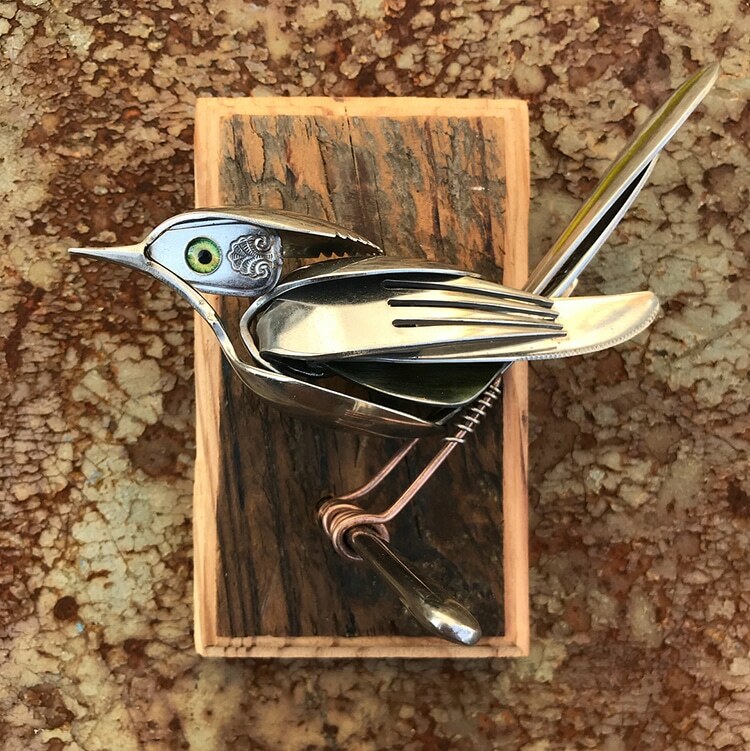 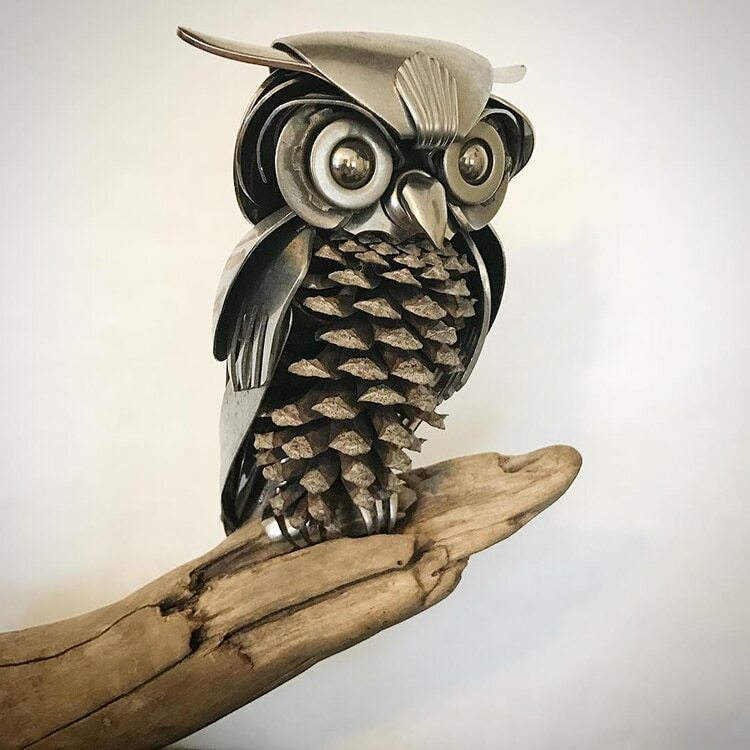 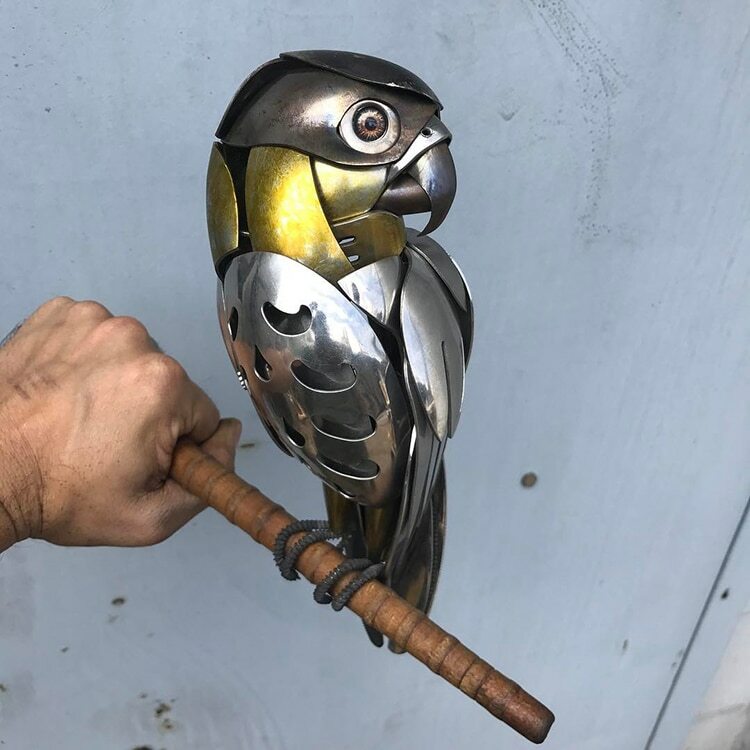 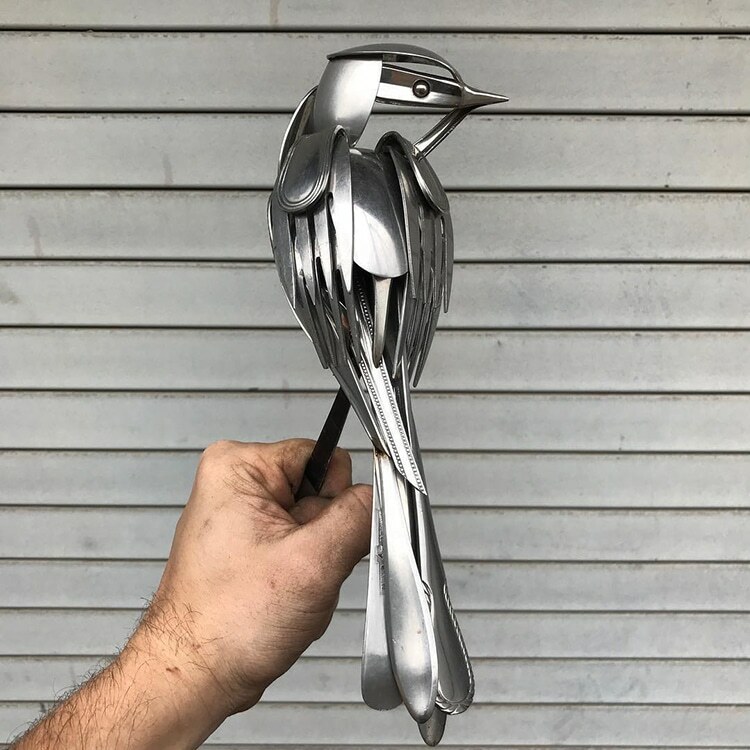 The talented craftsman transforms scrap metal, drift wood, and found objects into magnificent bird sculptures that look like they could come to life and fly away. 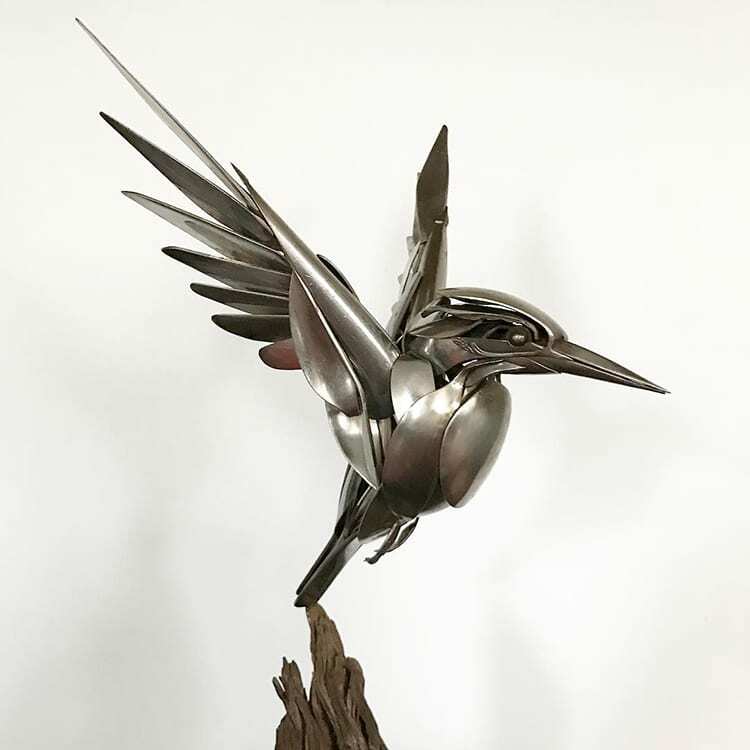 Wilson says his work is a reflection of the environment he lives in. 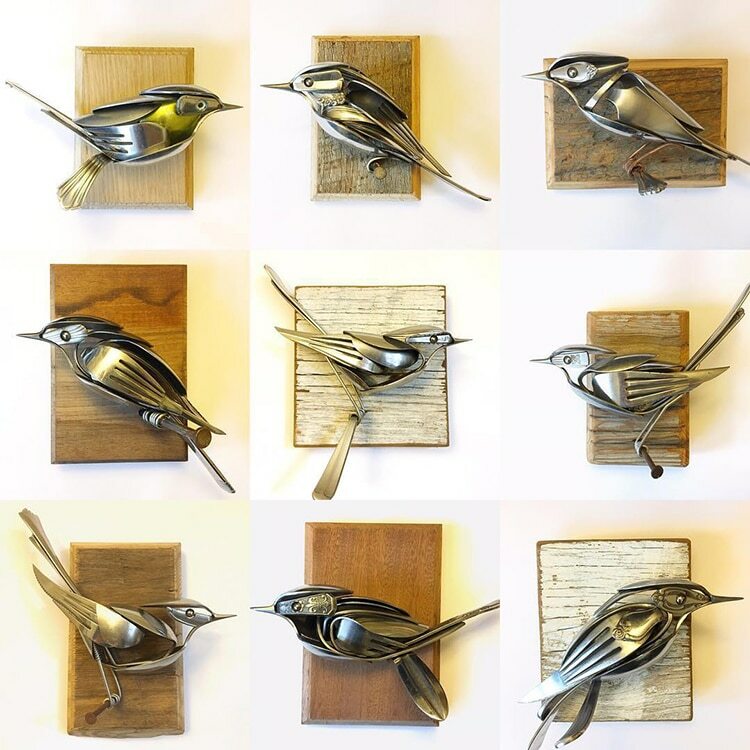 By working as a resident artist at Detyens Shipyard, he gives a longer life cycle to discarded materials. 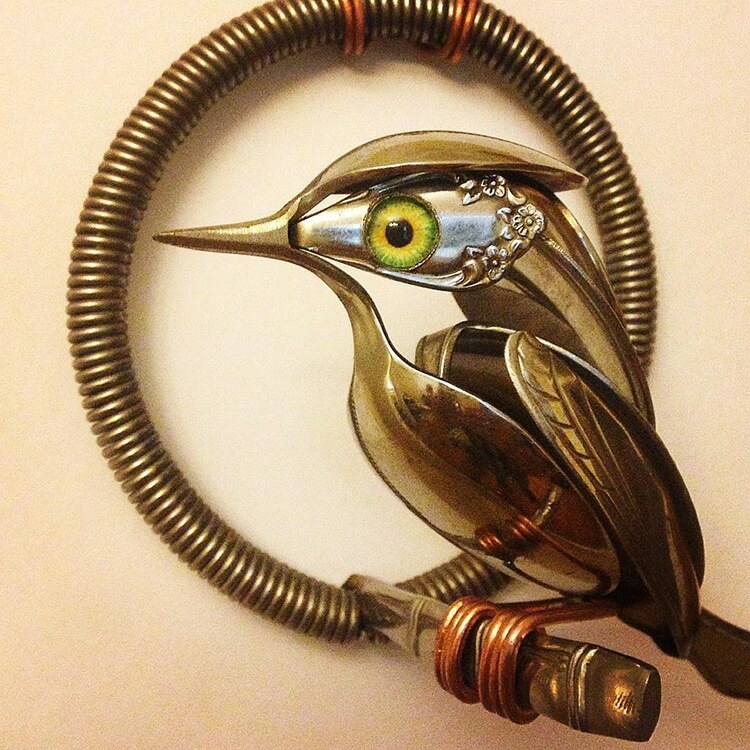 “The upcycled work I create is a testimony to the belief of conserving and appreciating our resources,” he explains. 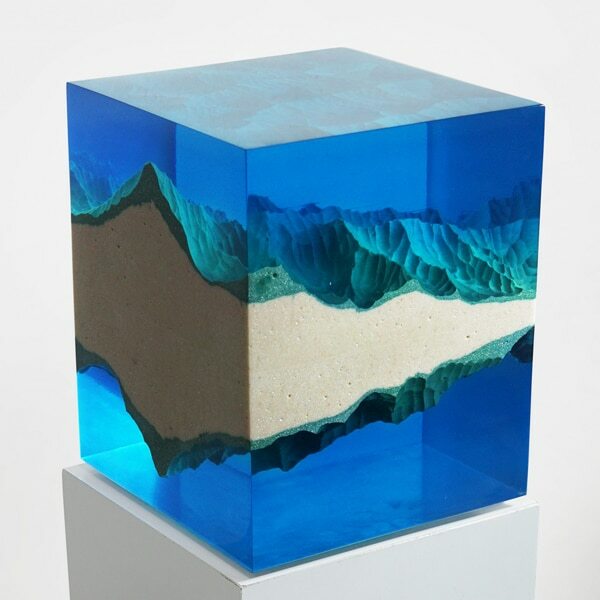 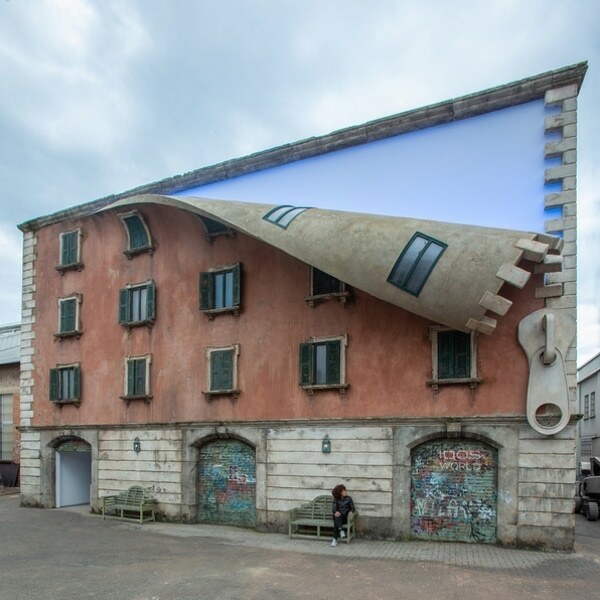 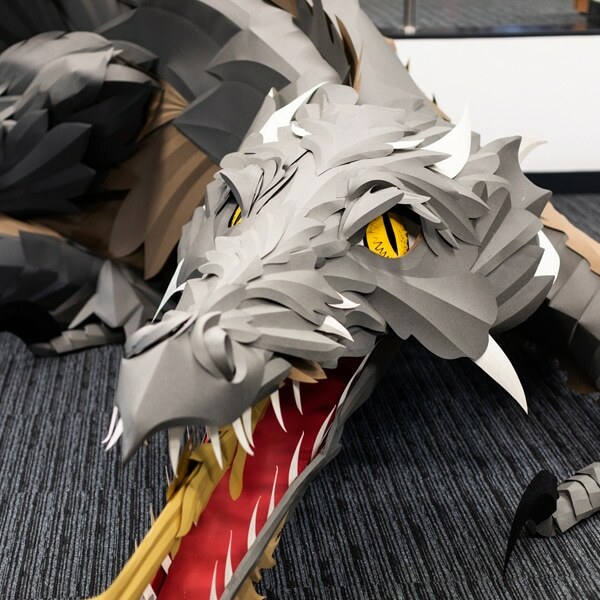 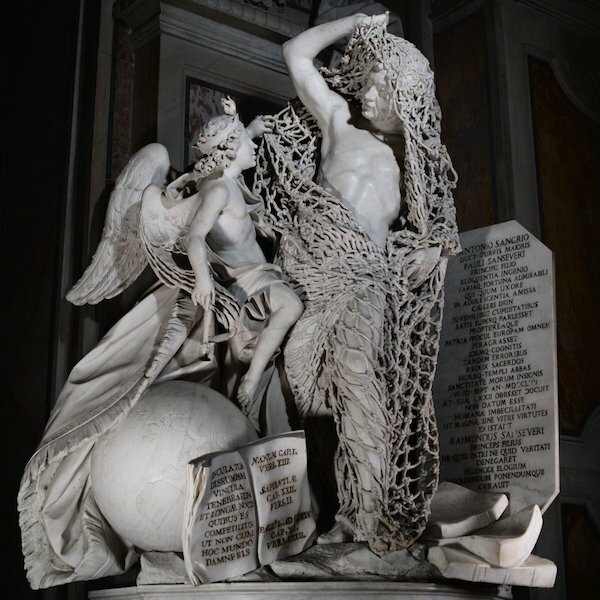 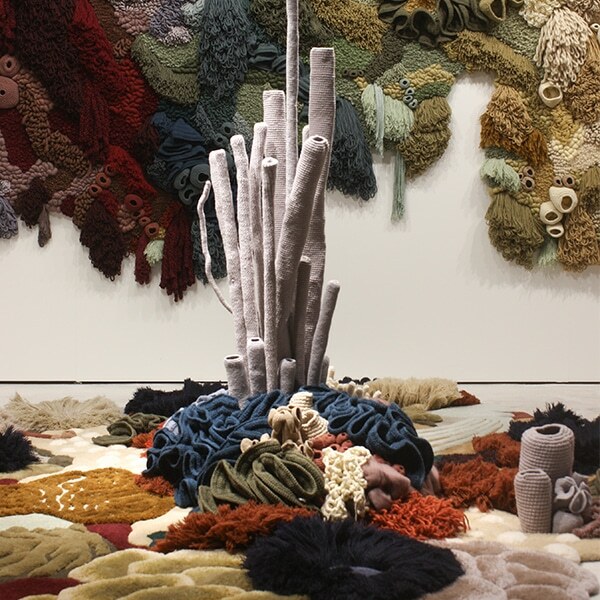 Although the found materials have been reused and transformed, they are still recognizable. 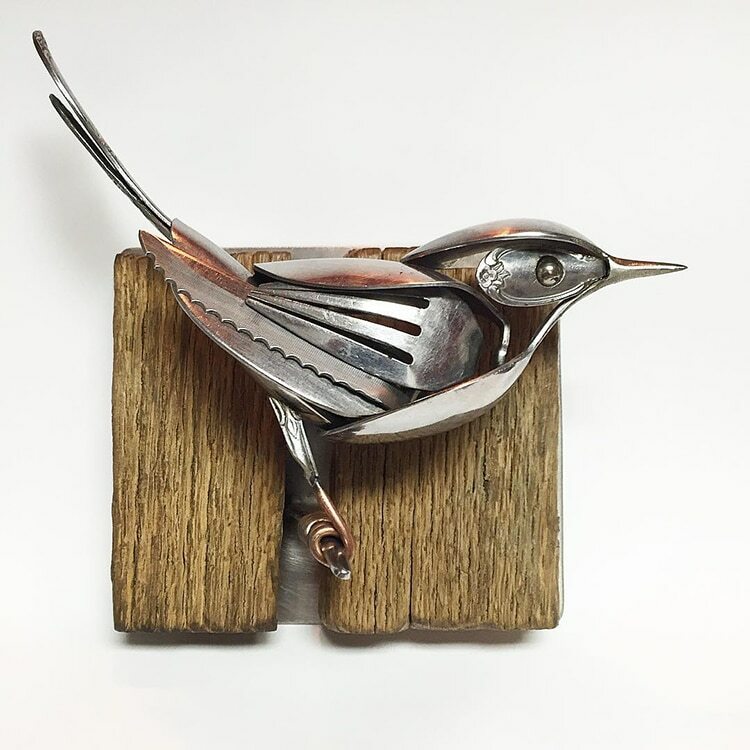 In one piece, a long metal coil becomes an elegant neck of a metal heron, and in others, antique silver forks take the place of birds wings and feet, and a slotted spoon serve as the breast of a barn owl. 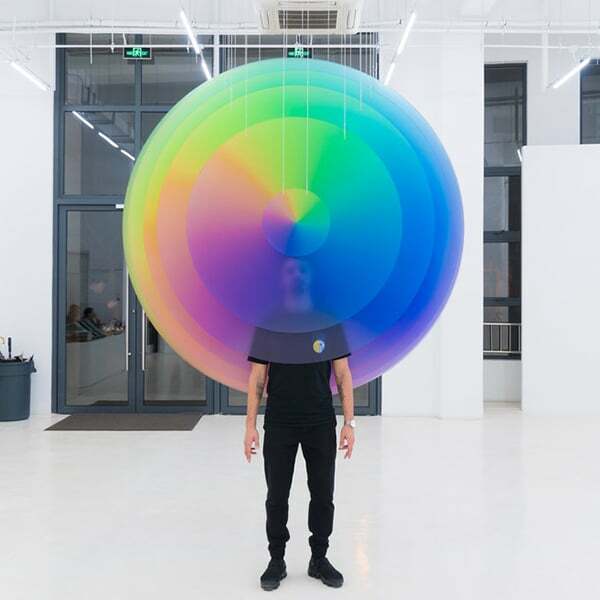 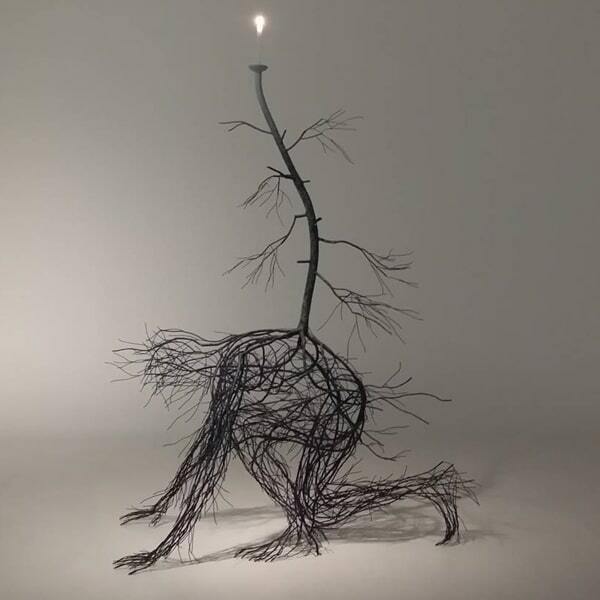 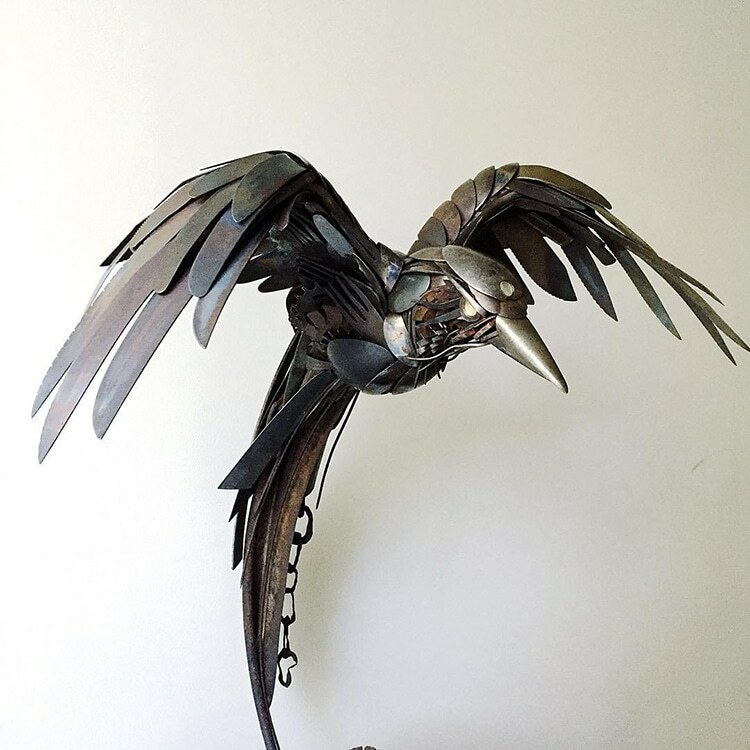 Wilson varies his creative interpretations from project to project. 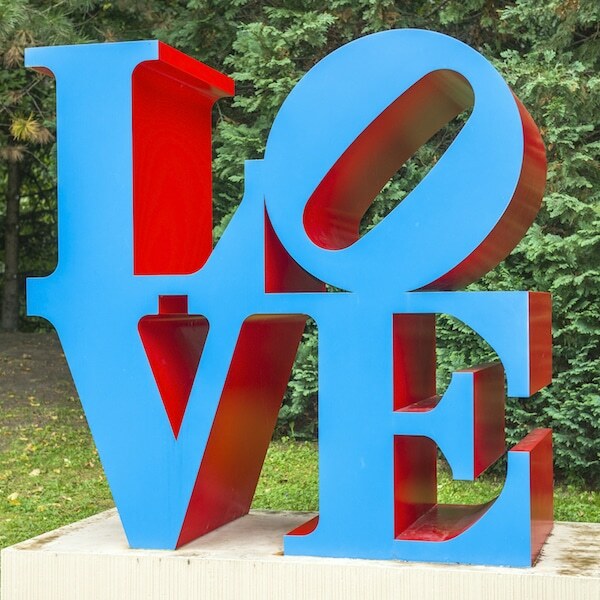 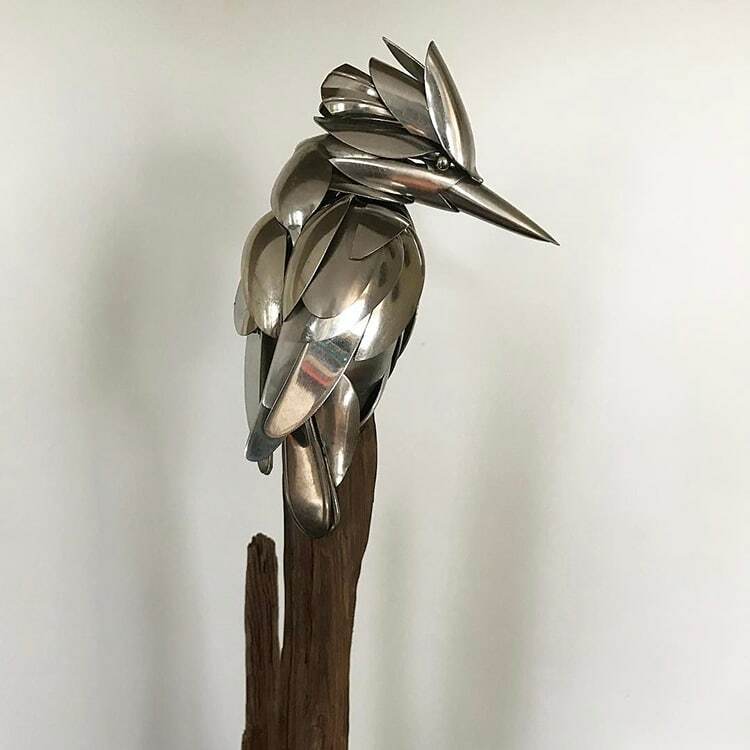 While some of the sculptures are freestanding, others perch on pieces of metal or reclaimed driftwood. 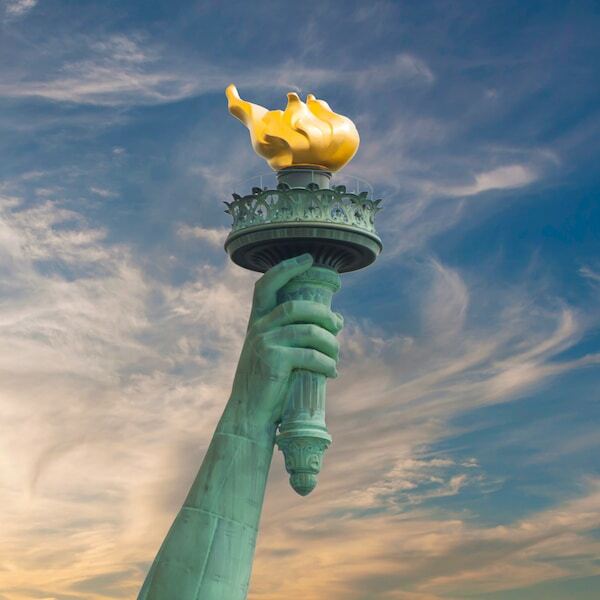 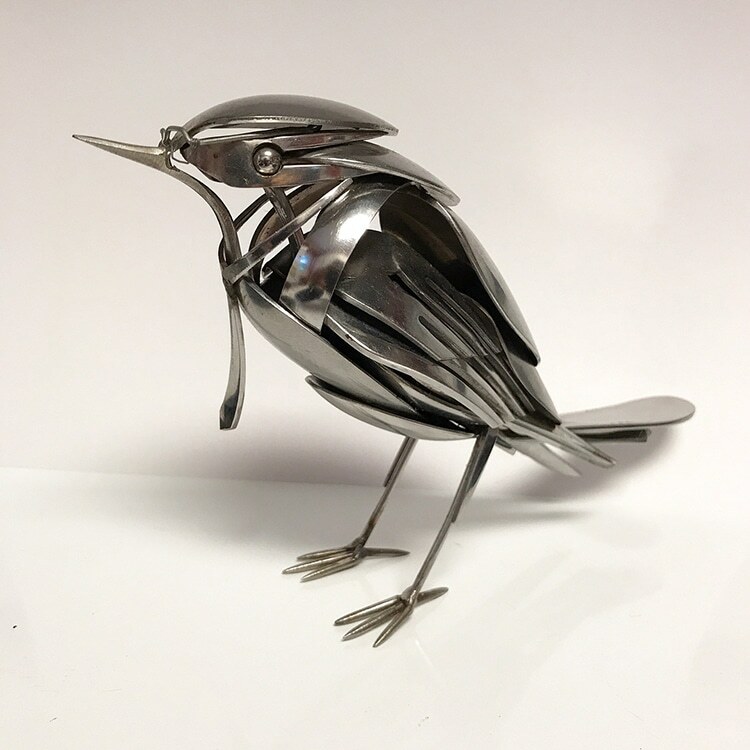 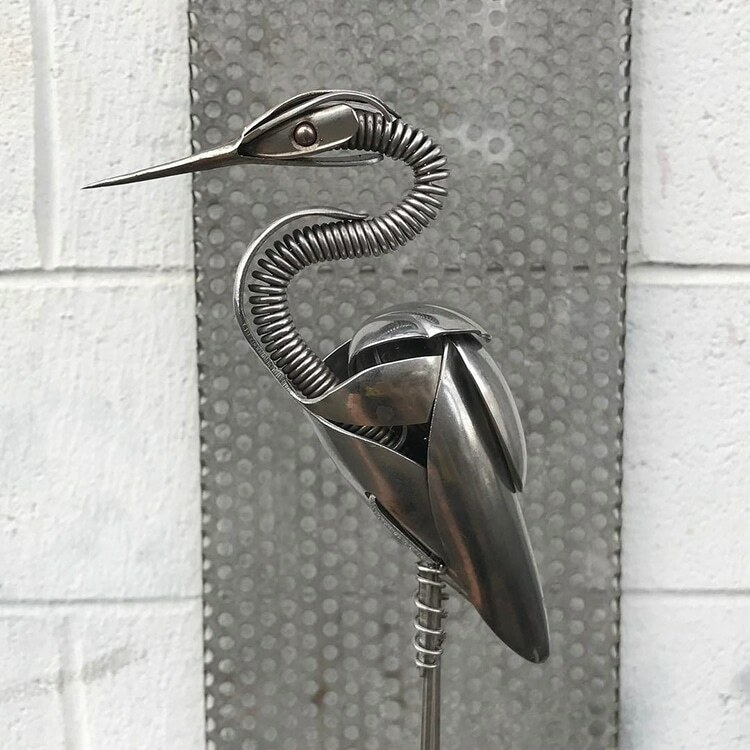 Although most of Wilson’s work depicts birds, he’s also made metal insects, lobsters, fish, and even an octopus. 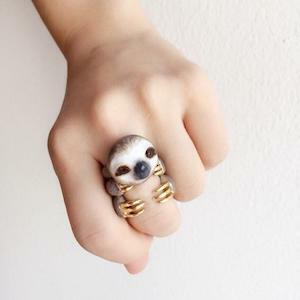 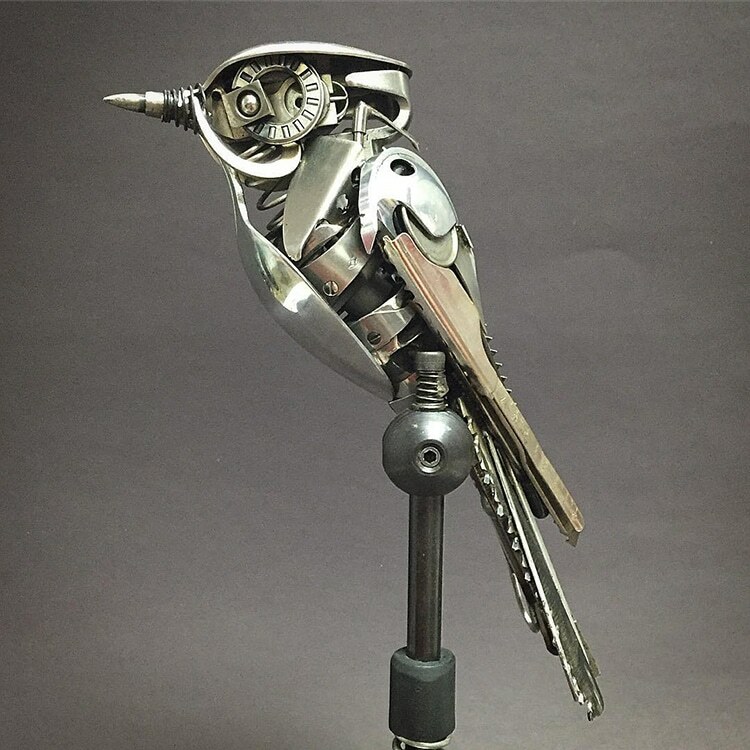 You can see more of his unique work on Instagram and even purchase original creations through his Etsy shop. 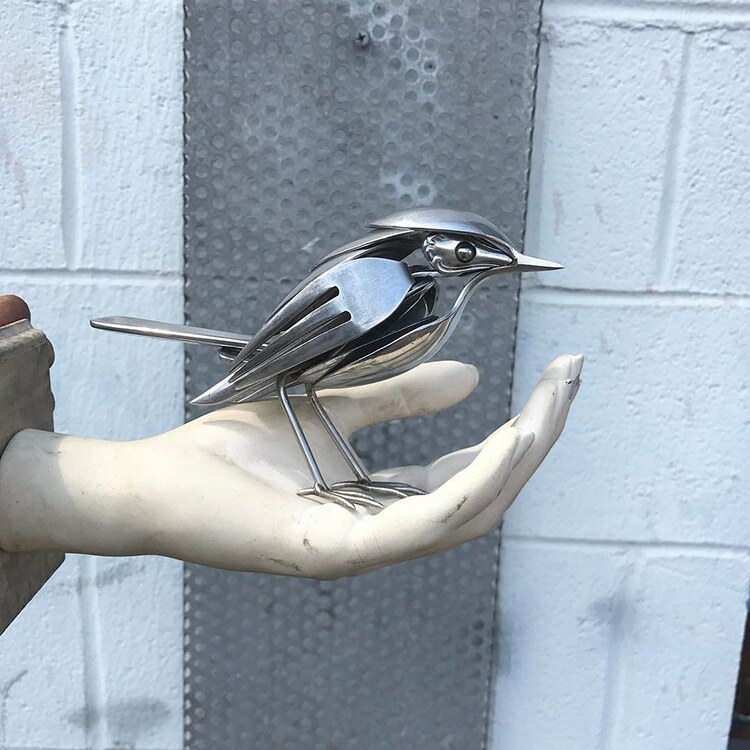 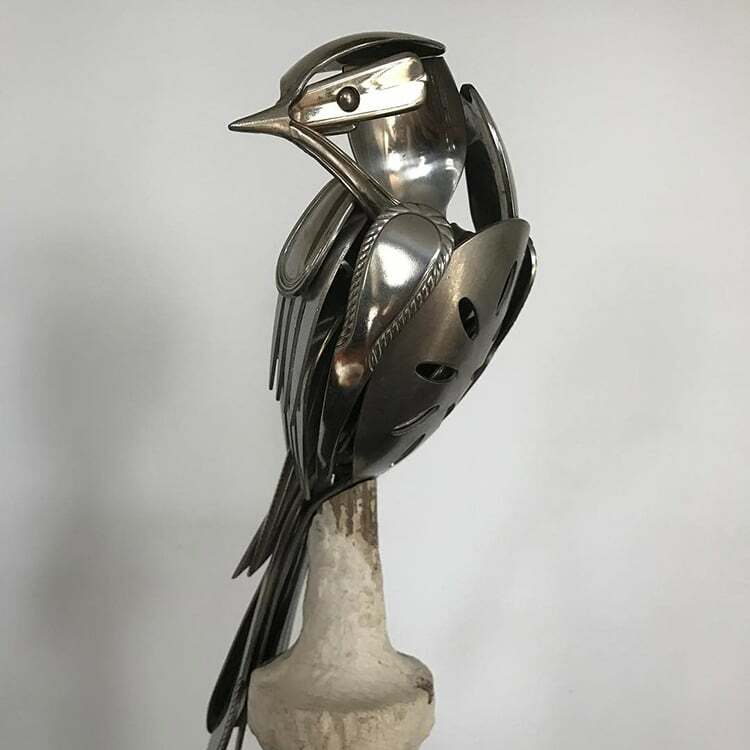 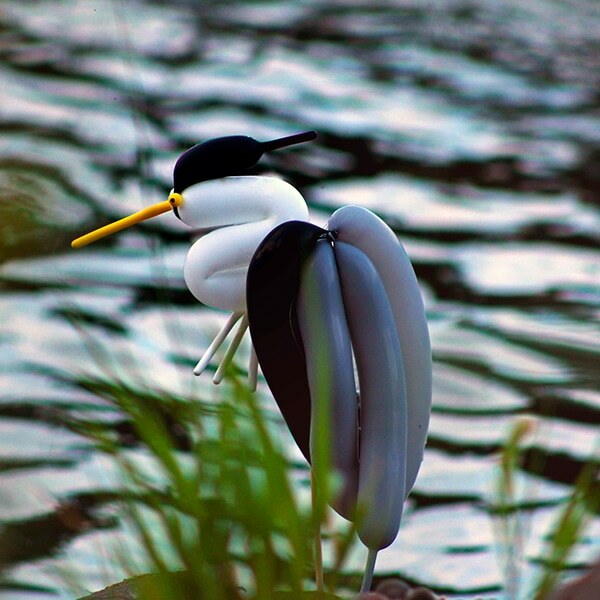 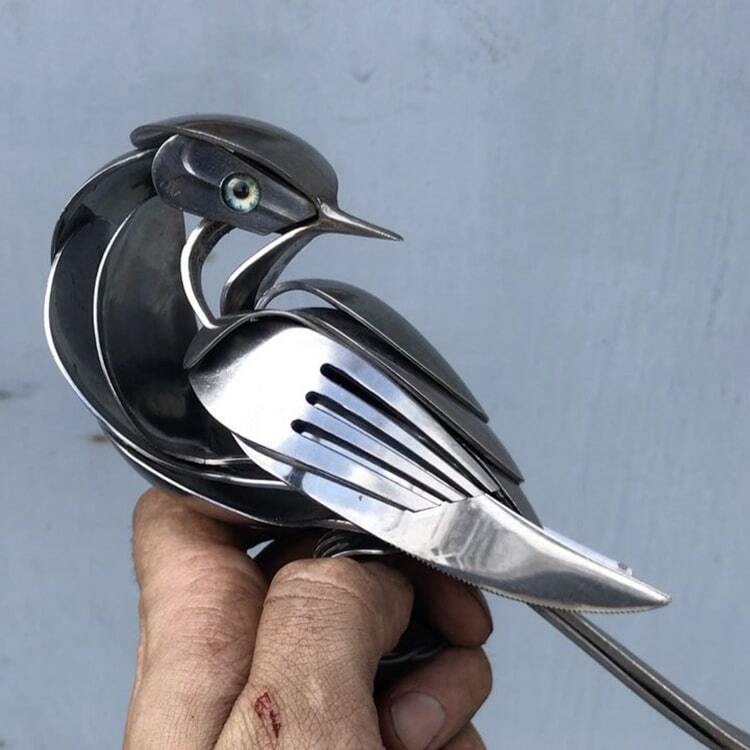 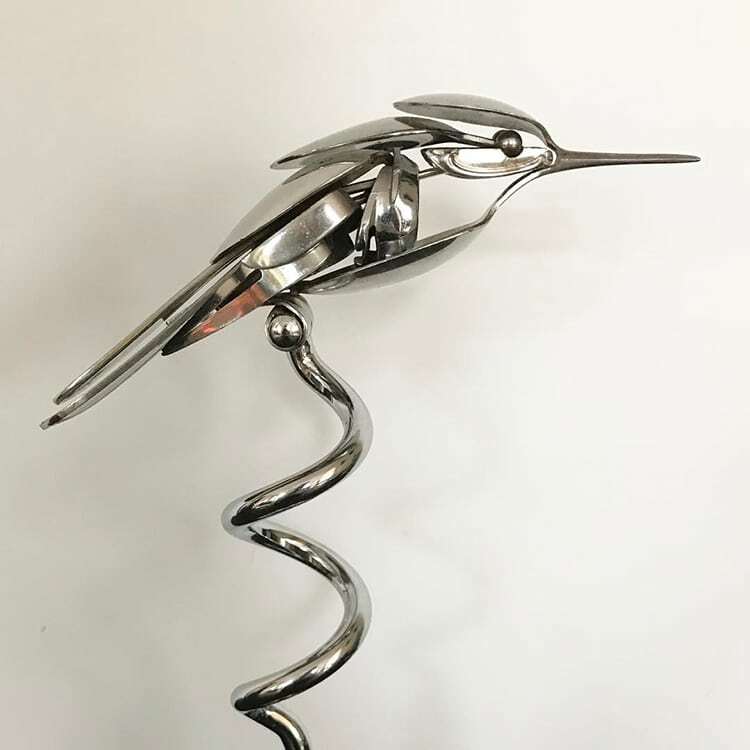 Upcycling artist Matt Wilson turns discarded scrap metal into magnificent bird sculptures. 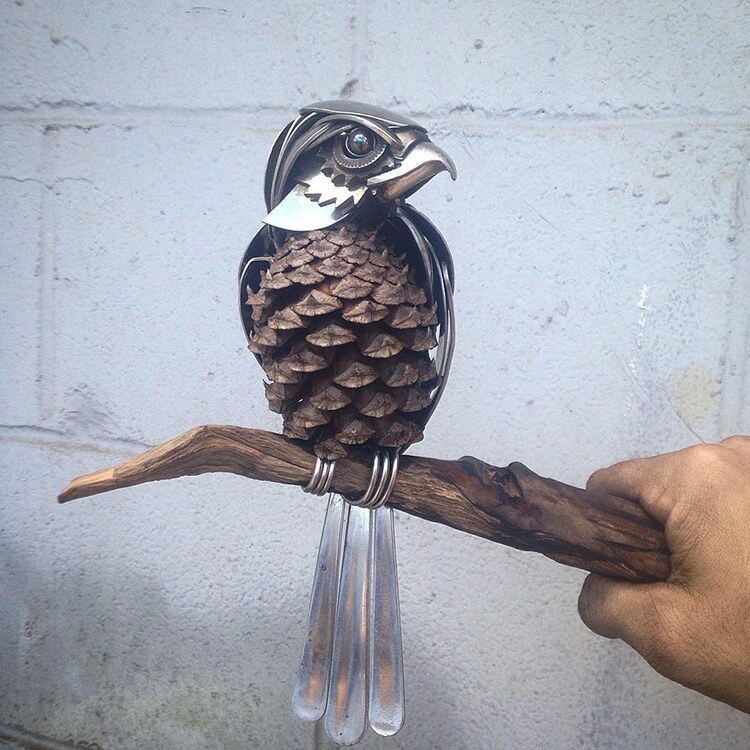 …to predatory and exotic birds. 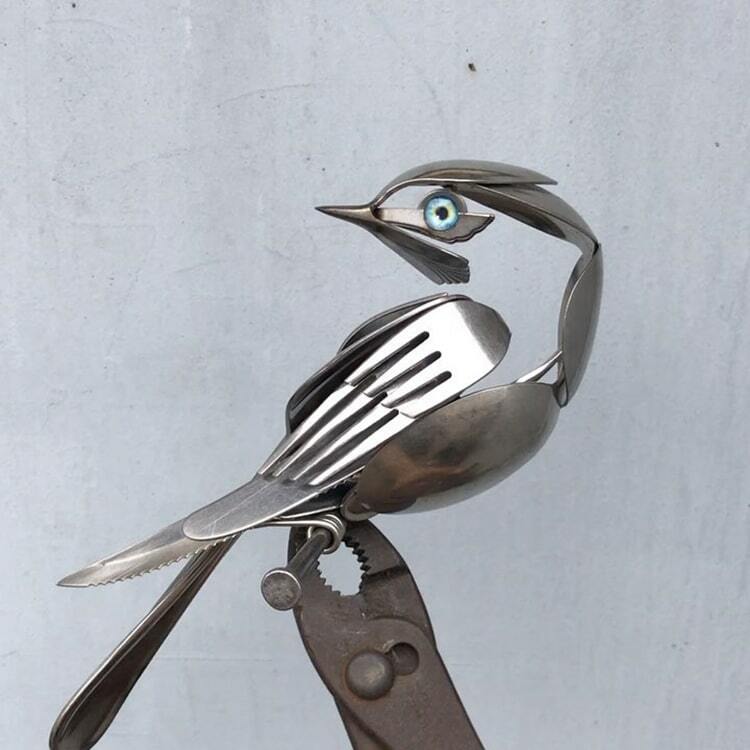 Some birds even feature life-like glass eyes. 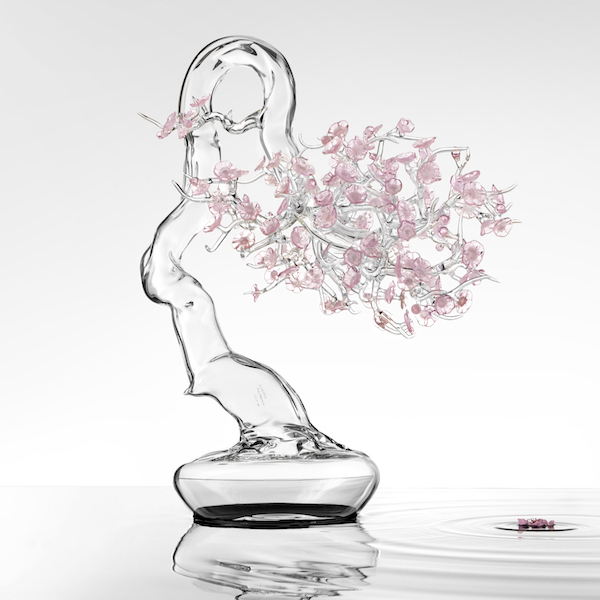 All images via Airtight Artwork. 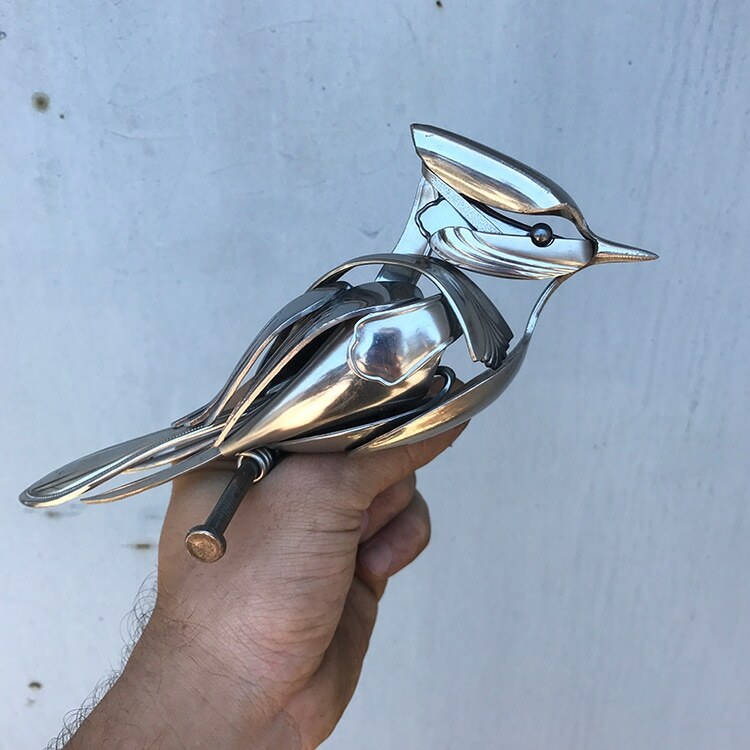 Impressed by the metal work?